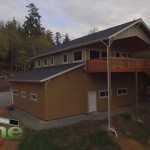 Spane Buildings has completed this new post frame garage on Camano Island, WA. In September we shared some video and pictures of the frame work, so now we want to share the completed project. 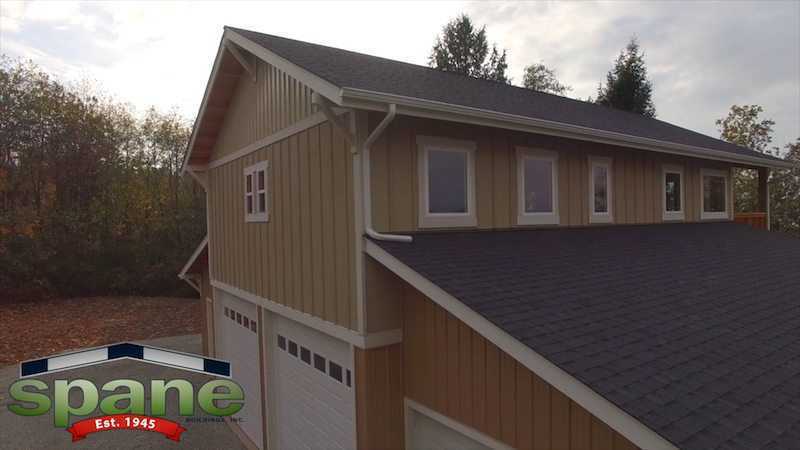 This custom garage takes advantage of the monitor design by closing off the loft space, and placing a covered deck on the back end. 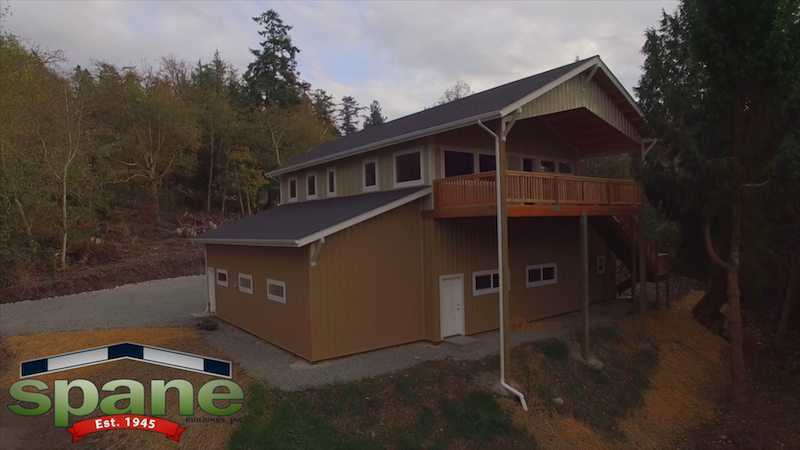 A winding staircase deck access point provides one of the finest views available on Camano Island. When Spane Buildings started this project, they wanted to take advantage of the beautiful setting. Placed at the edge of a hill side, the site is breathtaking from every angle. Both gable ends are visible. One can be seen from above on a neighboring hill, and the other can be seen from below at the base of the hill. 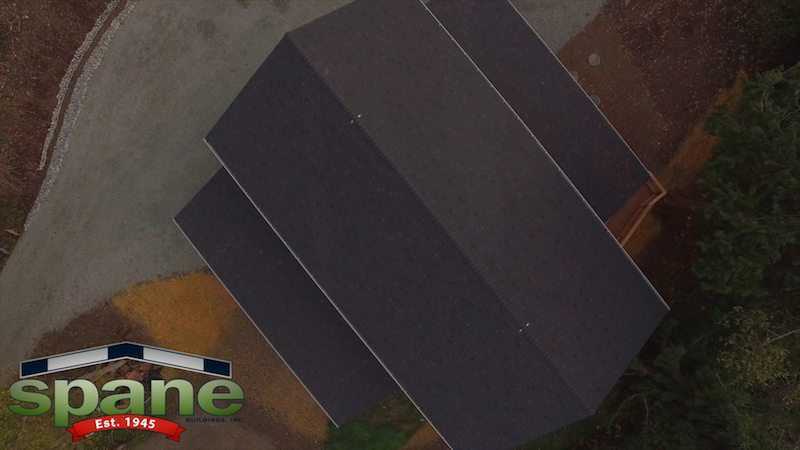 As Spane Buildings completed this new custom garage, they were very pleased with how well it turned out. Most importantly, they are happy that the customer is happy. This entry was posted in Uncategorized on November 3, 2015 by jimc.